"Simply put, we do not have computer problems! 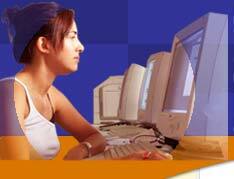 IT Professional Services has worked with us for over 10 years. We have 2 separate offices and ITPS manages the computer systems and network for both of them. Are you a Small business owner in the central California coast who has at least 5 PCs? IT Professional services will give you 2 hours of free technical support to fix any computer problem you are experiencing so that you can try us out. If your computer network is down or if you have any other urgent technical problem that you need help with, please call (805) 650-6030, press option 2, mention the “2 free hour of support” offer, and an experienced, certified technician will respond immediately. Even if you don’t have an immediate problem, you can use your 2 free hours of network support to have us audit your network for hidden problems developing under the surface that could turn into bigger, more disastrous events costing you thousands in lost productivity, downtime, and computer repair bills. Check your network’s current security against hacker attacks, theft,worms, viruses, and even employee sabotage. Scan for spyware that is secretly stealing your company’s bandwidth, jeopardizing the speed of your computer system, and embezzling confidential information about you, your employees, and your business. Check your network back up system to make sure it is working properly and accurately backing up all of the critical files and information you would NEVER want to lose. YES! I want to active my 2 hours free computer support. I understand that I am under NO OBLIGATION to do or buy anything. We want to be very clear that there are no expectations on our part for you to do or buy anything when you take us up on our offer. As a matter of fact, we guarantee that you won’t have to deal with a pushy, arrogant sales person because we don’t appreciate heavy sales pressure any more than you do. So go ahead and activate your 2 hours of computer support now; you’ll be glad you did!